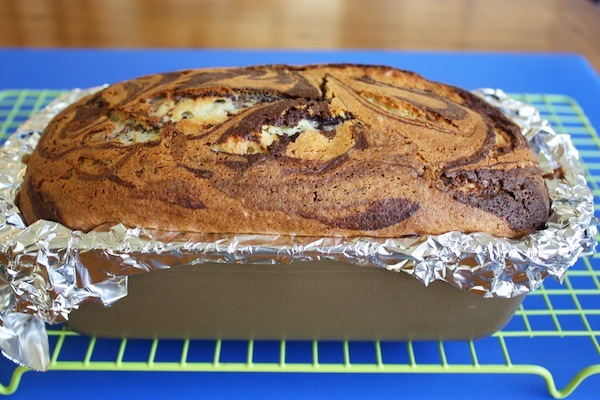 I just posted the updated recipe for my marble loaf cake that I love so much. 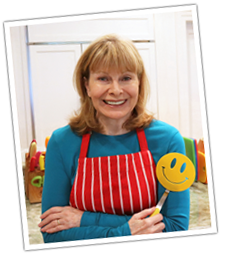 I went back to the original way that I was making it, which involved beating egg whites and folding them into the batter at the end. I had eliminated that step to make the recipe easier and less work but after making it a few times, I realized I should have left it alone. So… good news / bad news. The good news is the loaf is light and fluffy again and the bad news is it takes a little more work – well just the one extra step of beating the egg whites. If you hate washing pans (who doesn’t?) you will like this. If you do what I do and line the loaf pan completely with foil, you won’t have to wash the pan. And I don’t even grease the foil but you can if you want to. I just peel away the foil from the loaf, after about 15 minutes of cooling. But be careful when putting in the foil and use your knuckles in the corners so it doesn’t tear. You’ll notice that I beat the egg whites first. When beating egg whites there must be no fat whatsoever in the bowl, not from the yolk or from beaters not are not completely clean. So use your clean beaters on the whites first. Now you can continue using the beaters on the second mixture without having to clean them first. My first recipe had fresh orange zest added and that is still an option. You can add the zest of an orange along with the flour but I like it both ways, with and without the orange zest. 2 Comments on "Updated Marble Loaf Cake"
Actually, they are not Polish but only colorful fabrics that appeal to me because they remind me of my heritage. I wish I could find authentic Polish aprons or scarves but I can’t either, so I come as close as I can.